Pergolasare functional structures that provide shade and protection from the sun. It consists of posts that support a roofing made of beams. Pergolas may be freestanding or attached to the house. Such sunshade can be an extension of a primary residence as well as a commercial unit. Pergola is a durable sunshade structure, which roots go back ancient Greece and Rome. The main purpose of such framework is to provide shade on outdoor lanes, balconies, terrace and swimming pools. The earlier variations were typically built from rock columns with wood cross-beams that created a latticework roofing. Various climbing up plants, such as grapevines and ivy, were used to wind through the latticework roofing, which created a natural barrier from the sun. Today, wooden pergolas are typically created from pressure-treated timber or cedar. While providing the appearance of timber, they do not require frequent painting and are offered in a range of shades. The newest and most functional structure is a pergola made of aluminum. 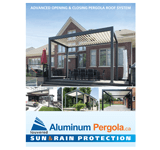 Aluminum pergola is a maintenance-free product, which has a maneuverable roof, that can be opened and closed. Such structure not only protects from the sun but also is completely waterproof when louvers are in closed position. 1. Pergola can be installed literally anywhere you could possibly think of. It looks great both as an addition to the back of your home, or as a free-standing structure on your backyard or patio. 2. Pergolas are custom built and can meet any specifications that one needs. 3. Like an arbour, pergolas have an aesthetic look covered in an evergreen, ivy or flowering vine. 4. 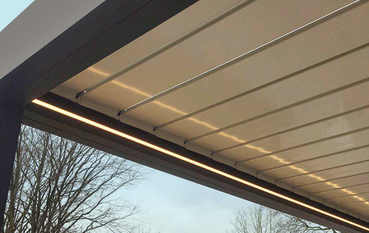 Pergolas can be used to cover balconies, terrace or area beside swimming pools. 5. Pergolas can be an excellent area for the hanging swing, chair or hammock. 6. 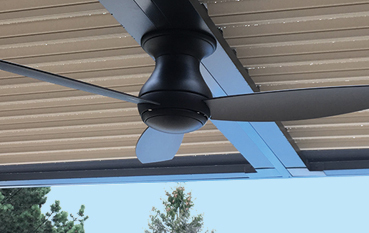 Include building accents to your pergola such as rounded top, round wood columns, or create a top that streams with the roof covering lines of your residence. 7. Mount your pergola along the whole size of your home, much like an awning. Not only it will add to your outdoor design but also increase the value of your house. 8. 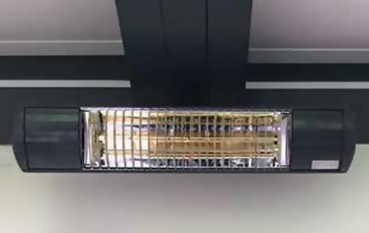 Fans and LED lights could be installed on an aluminum pergola, creating a more comfortable and cosy space. 9. With aluminum pergola you can install retractable screens or mosquito curtains, that will protect from unwanted bugs and provide privacy. 10. Pergolas are strong and highly functional structures that will serve you a long time.